A tisket a tasket, no one wants a wet picnic basket but thats exactly what may happen when you plop one down on to the grass. The same may be said for a persons derriere and picnic blankets. So, if you dont want a wet behind or anything else to get damp, wed suggest buying big, canvas tarps. They make excellent ground cover material during summer and early fall picnics. To avoid potential color transfer, choose untreated canvas and have it waterproofed after purchase. 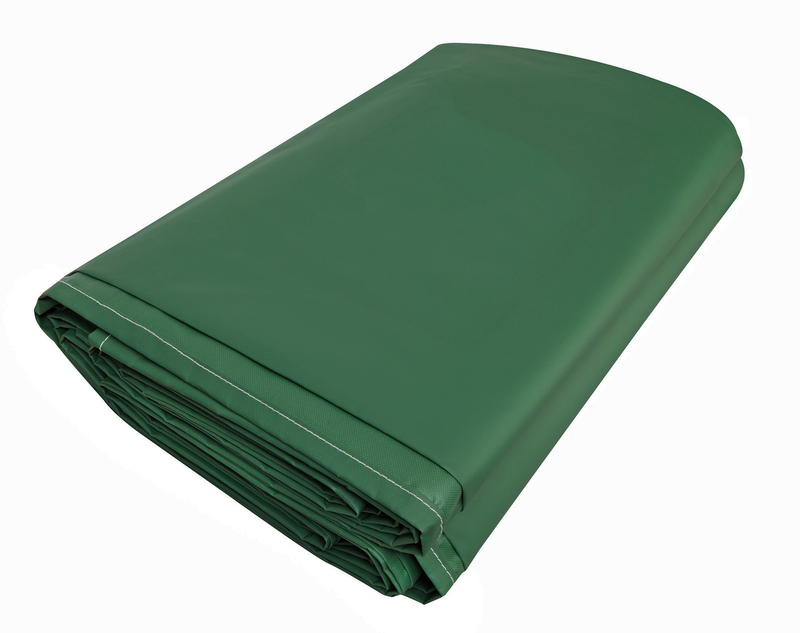 Then simply place the waterproof, canvas tarp down on to the ground wherever you plan on having your picnic. Smooth the canvas tarp out first and then top it with your favorite picnic blanket. Afterward, youll be able to comfortably sit down on the ground without having to worry about moisture, insects or grass stains. 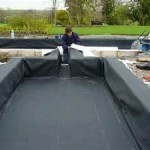 If you dont want to bother waterproofing the canvas tarp yourself, it is possible to buy treated tarps. However, wed only recommend pairing them with inexpensive or old picnic blankets. That way, if any color from the canvas tarp leaches out of the fabric during the picnic it will only end up on to the old or inexpensive blanket. 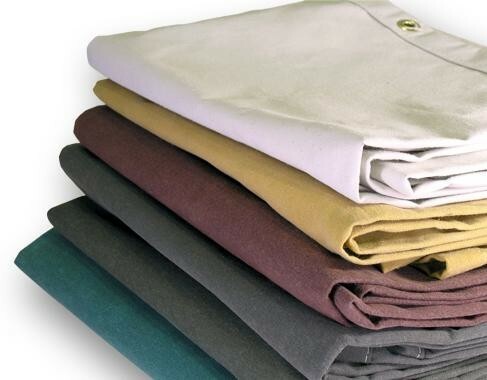 Old, inexpensive picnic blankets are generally easy to launder or replace outright should the stains become too much to bear. Of course waterproof tarps can do more than keep butts and picnic baskets dry. It is also possible to place them on top of picnic tables. They can double as table linen and protect your dinnerware from grime, especially when the picnic table is particularly grungy. Just make sure that you dont toss the treated, canvas tarps in the regular laundry when you get home. Otherwise, they could cause some problems for the rest of the load. To learn more about these and other fun ways to use canvas tarps while picnicking in the summer, please contact us. This entry was posted in canvas tarp, canvas tarps and tagged Canvas Tarps on June 25, 2015 by Canopies Tarps. Which Pop Up Tents Are Best for Fourth of July Celebrations? With Independence Day on the horizon, we know that many of you are wondering, Which pop up tents are best for Fourth of July celebrations? In order to answer that question fully, well need to know how many guests youre expecting and where the event will take place. Knowing which activities you have planned for underneath of the pop up tent will help us better assist you as well. Why do we need to know those things? Its simple. As human beings, we all value personal space. Consequently, it is important to allow every guest to have at least some degree of personal space during the event. In other words, they should be able to sit, eat, drink, dance, converse and move around underneath of the tent comfortably. In addition, there must be enough space set aside to accommodate whichever events will be taking place in the pop up tent too. For example, if a catered dinner and dancing is on the agenda, there will need to be ample room for tables, chairs and a dance floor. If a self-serve buffet is planned, theyll need to be an area set aside for that as well. And while we are on the subject of food, lets not forget about two very crucial elements, insects and flames. Ideally any pop-up tents being used for 4th of July food service should be flame retardant and offer respite from flying insects. After all, its hard to predict if a chafing dish warmer might get toppled over or mosquitoes will arrive for a quick snack. As for the location details, knowing them will help us recommend things like tent poles, anchors, wind screens, sidewalls and windows. To learn more and receive expert assistance on finding the right pop up tent for your 4th of July party, please reach out to us today. This entry was posted in pop up tents and tagged pop up tents on June 23, 2015 by CanopiesAnd Tarps. Summer’s coming and that means high school and college students will be graduating soon. So if there’s someone in your family that will be a part of this year’s graduating class, you might want to get a head start on the planning process. For an outdoor graduation party, party tents are definitely an awesome way to go. The summer is a great time for outdoor parties. However, you would still want to avoid having everyone in direct sunlight for too long. Rays from the sun can cause harmful damage to the skin. Therefore, it’s best to provide shade for everyone attending the graduation party. And it’s easy to do that when the party is being held under the canopy of a tent. When having a party outside, there’s always at least a slight chance of encountering unexpected rain drizzle at some point in the day. So rather than leaving it up to chance, why not take some preventive measures? Have the tent already in place so that everyone in the party could easily hide under it to shelter away from any unexpected drizzle of rain. When serving food at an outdoor party, try to do so in a covered area. That way, you’ll keep the food protected from the direct heat of the sun. Also, it’s simply easier for party guests to find the food when it’s placed right under the tent. 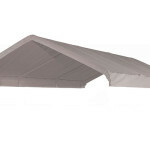 Ready to order your party tent? Contact us today. This entry was posted in party tents and tagged party canopies, party tents on June 23, 2015 by CanopiesAnd Tarps. You started out devoting a small area of your property to farming but this year, youve vowed to expand. Everything is selling well at the big, weekend, farmers market and those roadside stands. However, theyre not selling well enough to build another storage barn. So you wonder, Whats the easiest and least expensive way to get more storage? In a few words, you answer is portable garages. At first blush, portable garages may not sound like theyre what your farm needs but we promise you, its true. Theyre inexpensive, moveable, easy to install, affordable and spacious. Plus, theyll stand up to the seasonal elements and rigors of farm life too. So, investing in several garages and putting them in key areas of your farmland may just be the way to go until building a permanent barn is within your reach. There are a lot of different ways to put portable garages to use on a small, mid-size of large farm. For instance, they could be used to store extra feed, machinery, equipment, plants and other farming supplies. In addition, portable garages could be used as temporary housing for animals that may need to be isolated. Examples include sick pigs, pregnant dogs, baby rabbits and aggressive roosters. Weve even seen portable garages used by farm hands as temporary shelters during brief dust ups or summer rain storms. And dont worry that the winds will pick it up and carry it away. The majority of portable garages in our collection are made to withstand 80-mile per hour winds. Plus, they may be weighted down with sand bags or other approved anchors to give them added support. To find out more about them and other related products that may improve your familys life on the farm, please contact us at Canopies and Tarps today. We have portable garages of all sizes, including ones big enough to hold full-size tractors and hay bale machines. This entry was posted in portable garages and tagged portable garages on June 8, 2015 by CanopiesAnd Tarps. Is it hot enough for you? Thats a phrase were all accustom to hearing more of this time of year, thanks primarily to the summer solstice. Its when the earth literally gives a nod to the sun and allows it to give us plenty of long days and early dawns. Of course with those long days and early dawns often comes things nobody likes. Yes, we are referring to the unbearable heat, killer UV rays and high humidity. 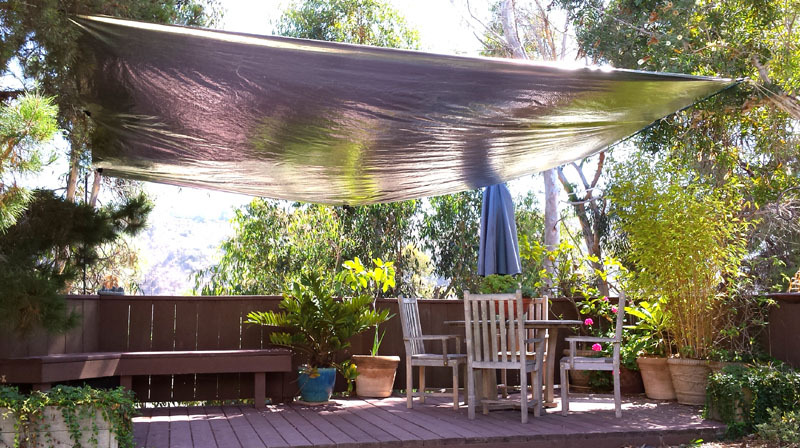 Good thing there are inexpensive but long-lasting shade tarpaulins that everyday Americans may use to combat at least two of the three a fore mentioned problems. 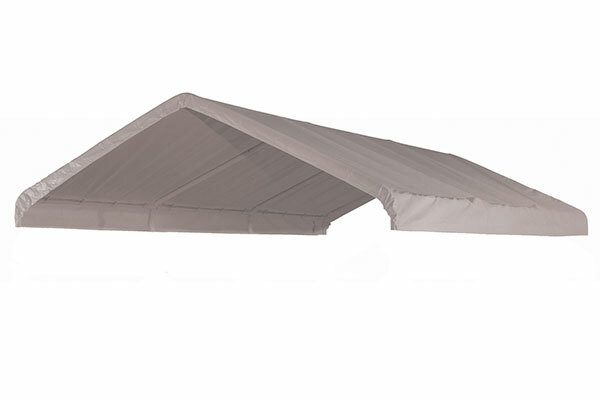 Shade tarpaulins perfect for beating the heat and killer rays come in a variety of forms. There are those that are designed to be hung above a persons head, which is all well and good. 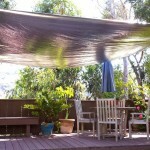 But there are also mesh shade tarpaulins that are meant to flank people from the right and left sides. Theyre important too because as well all know, sunlight and heat dont simply travel up and down. Heat and UV rays actually spread out all around a person and bounce off of reflective materials. As such, its vital to have enough good quality tarpaulins to provide 360 degree protection during the harshest points in any given day. They wont totally thwart all of the harmful effects of the heat, UV rays and humidity. However, theyll provide a buffer that is sure to make watching those early dawns and late sunsets with the family a lot more enjoyable. How do you know which tarpaulins would make the best suit of armor against the summer elements? 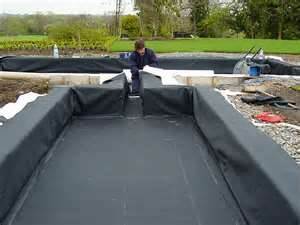 Wed suggest looking at the tarps shade counts, construction materials, dimensions, shapes and colors. Theyll typically tell you everything that there is to know about a given tarp. Afterward, you should be able to put that information up against your familys personal needs and come up with a cost-effective, efficient, aesthetically pleasing solution. To learn more about finding the right tarpaulin protection for your personal space, please contact us at Canopies and Tarps. This entry was posted in Tarps and tagged tarps on June 8, 2015 by CanopiesAnd Tarps. 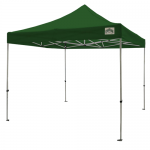 Canopies are excellent to have because there are so many uses for them, including camping, car storage, garage sales, outdoor events, backyard use, and much more. While canopies are sturdy and should not sustain major damage over a short period of time, severe weather could cause unexpected damage.Either way, purchasing multiple canopy top replacements to keep on you is a smart choice. If you have a fairly worn out canopy top in your backyard that you use regularly, you may not want to use the same canopy top when you have family, friends, or colleagues coming over for a get-together.Having a replacement top can give you a brand-new looking canopy in no time at all. Some people might think that once their canopy top sustains substantial damage or wears down to the point where it needs to be replaced, that the entire canopy must go. Making sure you always have a replacement canopy top can remind you that you can use the same canopy frame for many years. Since ordering a canopy top online can require you to wait a few days for its arrival, you might not be prepared for a short-notice event or a canopy top that was suddenly damaged. 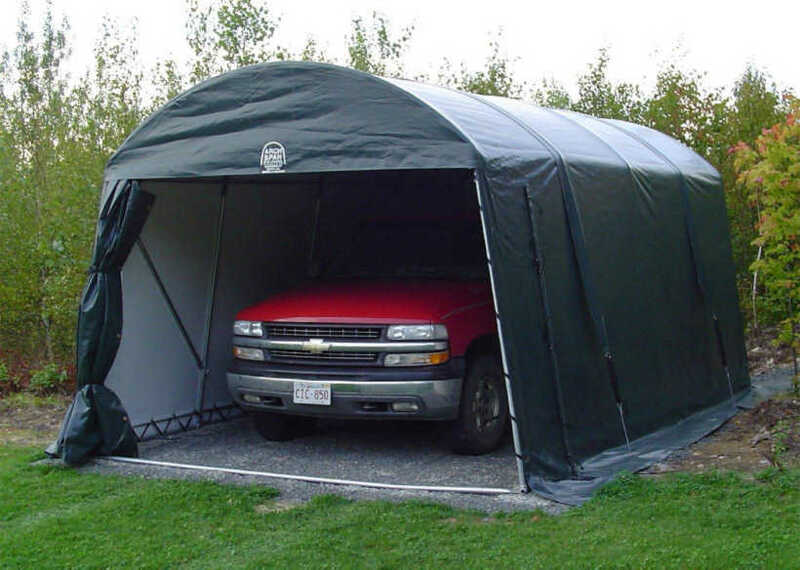 When you have an extra canopy top in storage, you do not have to worry about not being prepared for any situation that requires or benefits from the use of a canopy. With new canopy tops, you can also get different colors to match better with the occasion. Contact us with any questions you may have about canopy top replacements. This entry was posted in canopy replacement cover and tagged canopy replacement covers on June 2, 2015 by CanopiesAnd Tarps. Your dad has done so much for you through the years, and he deserves to be celebrated. It’s so easy to overlook dads on their special day because they’re not likely to show their disappointment with a gift they don’t love. However, the look on their face when you’ve given them something great is worth all the effort. If you’re not sure when Father’s Day is this year, you’re not alone. Father’s Day is always celebrated on the third Sunday in June, but that means the date changes every year. This year, Father’s Day falls on Sunday June 21st in the United States. Other countries celebrate Father’s Day at different times in the year. One gift you may have never thought of getting your dad is vinyl tarps. He would probably love a high quality tarp that he could use to protect his jeep, 4wd vehicle, grill, or other outdoor gear. Tarps are useful for camping and hunting as well. You can even get camouflaged tarps that are specifically designed for hunting trips. 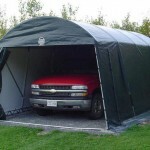 Canopies and Tarps offers tarps in every imaginable size, thickness, color and coating. You can even purchase fire-proof tarps. 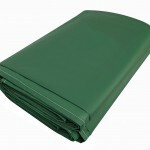 All the tarps are made to order so you know that you are getting a high quality tarp that is made just for you. 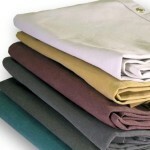 For more information on buying the perfect tarp for your dad for Father’s Day, please contact us. You’ll be amazed at our variety and our competitive prices. Your dad will just be happy not be getting another lame tie. This entry was posted in vinyl tarps and tagged vinyl tarps on June 2, 2015 by CanopiesAnd Tarps.